Marrakech is a city that takes away all your sense of direction and wherever you look there’s a kaleidoscope of colour. 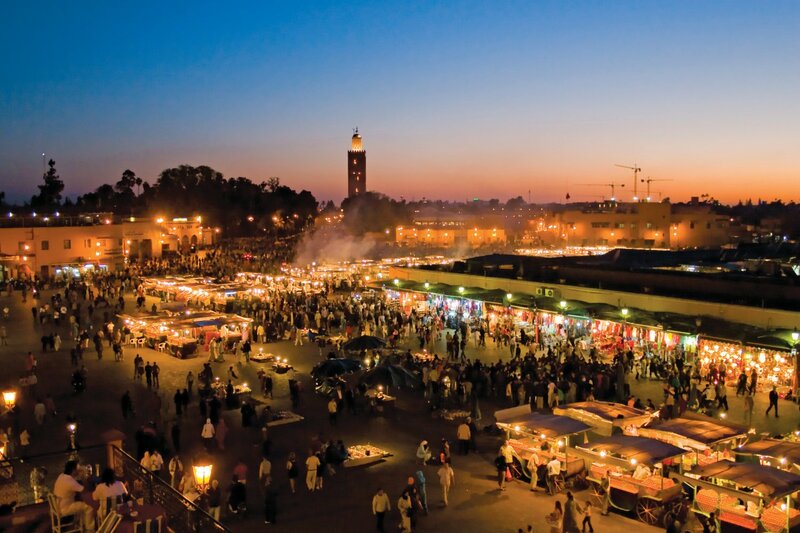 There really is no place like it; energetic, bustling and fun Marrakech is a collision of the senses. Its enchanting fusion of African and Arabian culture that transports you to an exotic land, yet you’re just a few hours from home. There are so many things to do in Marrakech it’s a real hive of activity but it’s also easy to relax and watch it all happen from the city’s many shaded oases. Marrakech will easily charm the socks off even the most discerning traveller. You’ll come home with fascinating stories to tell and colourful pictures depicting your other worldly adventures. At the heart of the city Djemaa el Fna is pulsing with action. Fortune tellers, snake charmers, dancers, musicians all perform here. Stalls sell freshly squeezed orange juice and Henna ladies sit ready to paint beautiful patterns on your hand. This hypnotic square is adorned in new colours once the sun sets. Chefs set up shop with a fragrant offering of local delicacies from Tagine, Harira and succulent kebabs to sheep’s head and goat. Friendly chefs beckon you in with aromas which rise high up above the twinkling lights of the square. The surrounding roof terraces are a great place to grab a fresh mint tea and watch the action from above with the Koutoubia mosque sitting gracefully in the distance. This centuries-old shopping mall is a maze of souks selling pretty much everything including leather, kaftans, carpets, cotton, silks, spices, lanterns, china, furniture and just about everything and anything else. Every street is patterned in elaborate colours and you’ll discover tiny retail hideaways, hidden café’s and some real bargains. There’s few more pleasurable things to do in Marrakech than simply allow yourself to get lost in the labyrinth of the Medina. Have a price in your head that you are happy to pay. Then ask how much (to which they’ll give a starting price). Say how much you want to pay and see the price fall, albeit reluctantly. Stick with your original price and if it’s no matched, walk aqay. You will be followed and offered a lower price! If you’re not followed, then price was probably too low. Try a different stall. If it’s an item you really want, another shop will probably have it but make note of where you found it and come back if you didn’t find it elsewhere. Then start again. Haggling’s not for everyone. 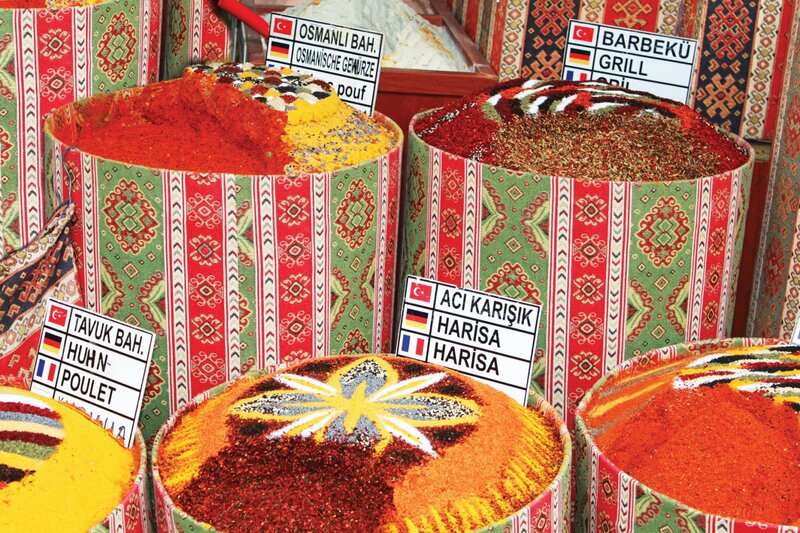 If you’re not happy to haggle, you can either pay full price or head to a range of barter free shops across the city. Ensemble Artisanal has fixed prices for all products. Open 9.30am – 7pm (closed between 12.30 and 3). Avenue Mohammed VI 40020. 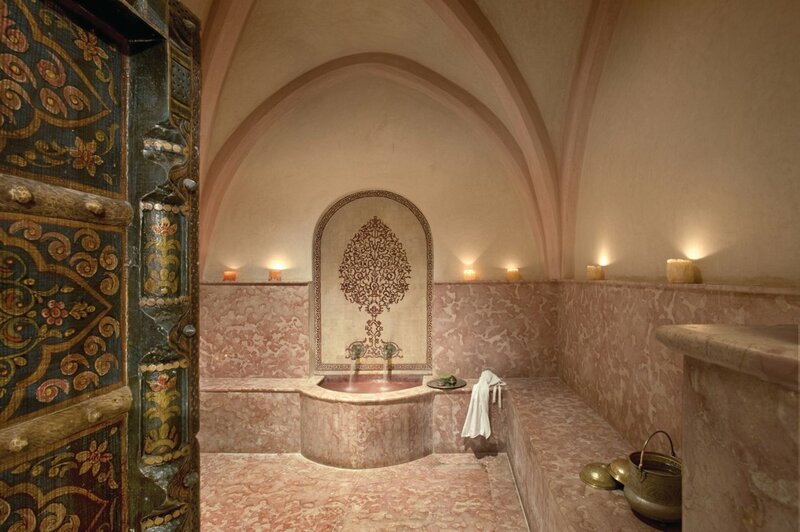 Rest your weary self from the bewitching bustle with a relaxing hammam. Traditionally hammams were public steam bath houses where an attendant would cover you in black soap, proir to scrubbing away an entire layer of dead skin cells, and then applying a softening mud mask. Most hammams are now within private spa’s, (althou public bathhouses still remain popular) but the process is still much the same. Being scrubbed by a stranger may not sound all that relaxing but the benefits to your skin are endless. You’ll no doubt come out feeling regenerated with soft and younger skin. Most hammams offer spa treatments and massages alongside the hammam; you’ll simply float back to your riad feeling wonderfully relaxed. Where – Heritage Spa, Le Bains de Marrakech, Hammam de la Rose. 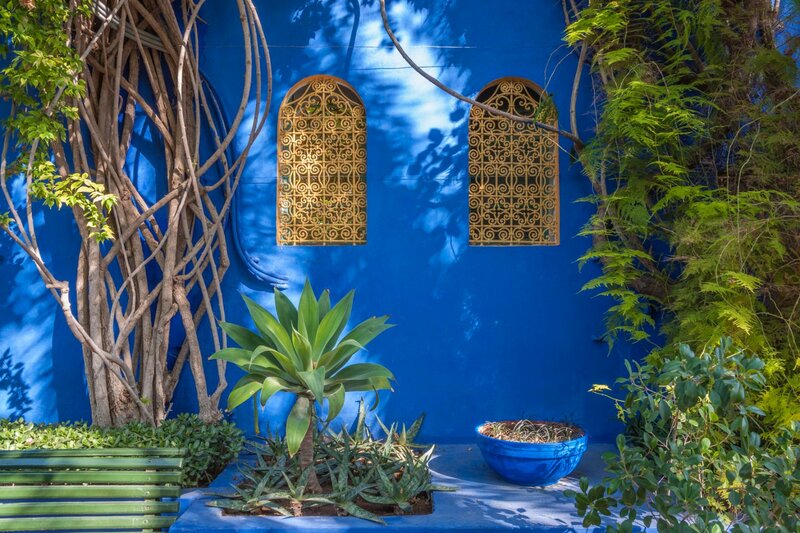 Unusual cactus shapes, shady trees and calming ponds surround the pretty cobalt blue house of French painter Jacques Majorelle. Asian style bridges reach over gentle running waters giving an aura of Japanese zen. Colourful plant pots pattern the path leading all the way around this tranquil garden. Yves Saint Laurent later renovated the gardens saving them from dereliction. A shrine stands in the garden to pay tribute to the great fashion icon. There is also a café and museum. Open 8am – 5.30pm, admission to garden is 70 Dirham (£5) and the museum is 30 Dirham (£2). Hidden within the Medina walls this elaborate palace is a gallery of lavish Moorish design. 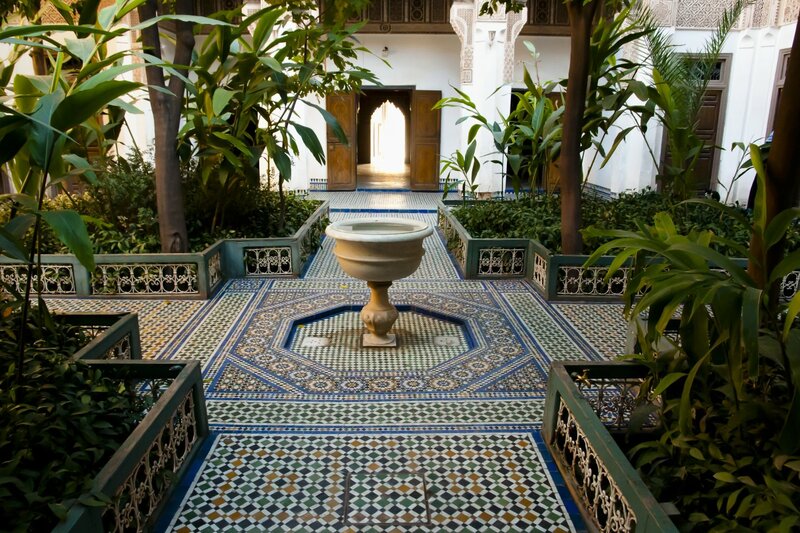 Tiles of all colours and shapes pattern the palace and beautiful doorways beckon you in towards tranquil courtyards. The Grand Vizier of Marrakech once lived here with his 4 wives, 24 concubines and dozens of children. This lavish palace is a beautiful escape from the main hustle and bustle. Entry €1, open 8am – 5pm. Overstimulated by the dust and noise? Or simply want to explore more of this fantastic country. Day trips outside of Marrakech are a great way to explore the country and most places are within a few hours’ drive from the city. 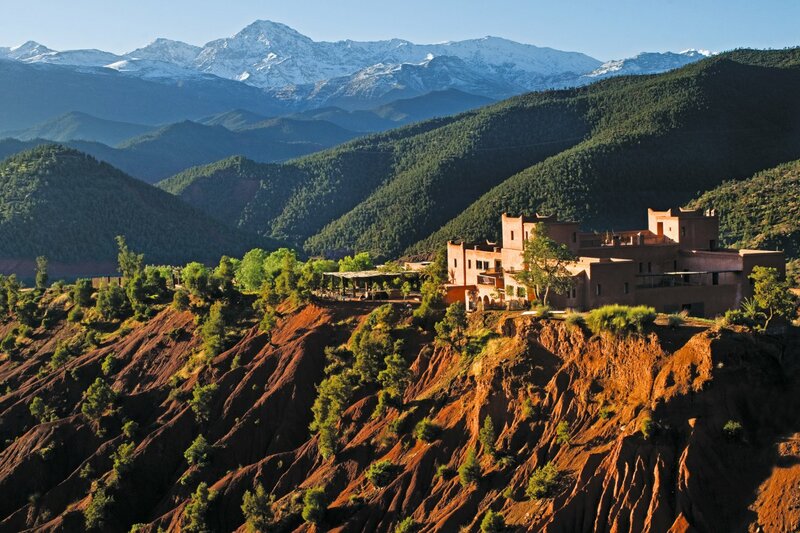 Cool, rustic and scenic the soaring Atlas Mountains are a tranquil retreat away from the world. Elegant Kasbah’s sit between high peaks where you can breath the cool clean air and simply sit and listen to the stillness and silence. Jaw-dropping views meet you at every turn and the temperature remains cool. You can explore unspoilt villages, visit argon oil manufacturers and simply enjoy the authentic Berber culture. Is there a beach in Marrakech? The answer is no. 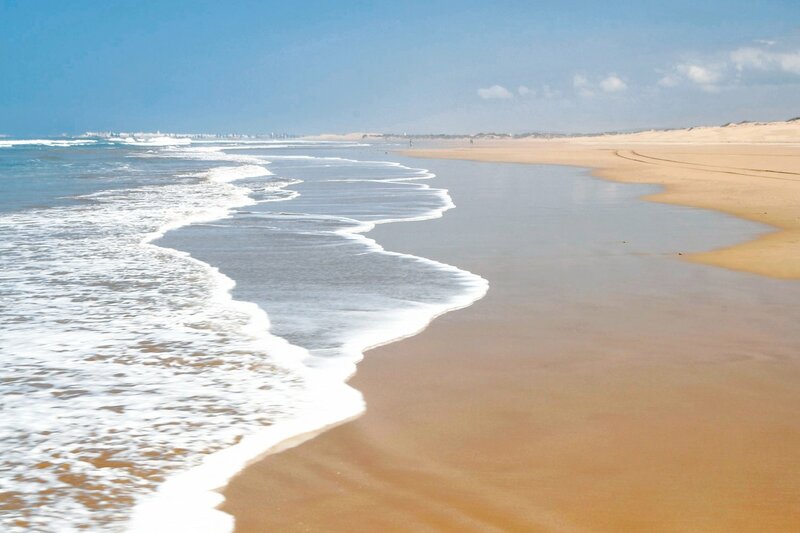 But Essaouira is not too far. Essaouira’s Bohemian fishing village has a long sandy beach and a seafront promenade with superb restuarants, colourful markets and local fisherman selling their daily catch. The drive from Marrakech takes about 2 hours but on your way there you’ll pass little villages and shops and the much loved trees of goats (goats climb the trees to eat the argan nut). You don’t have to head far out of Marrakech to find desert but the further you go the more rural and natural the desert becomes. 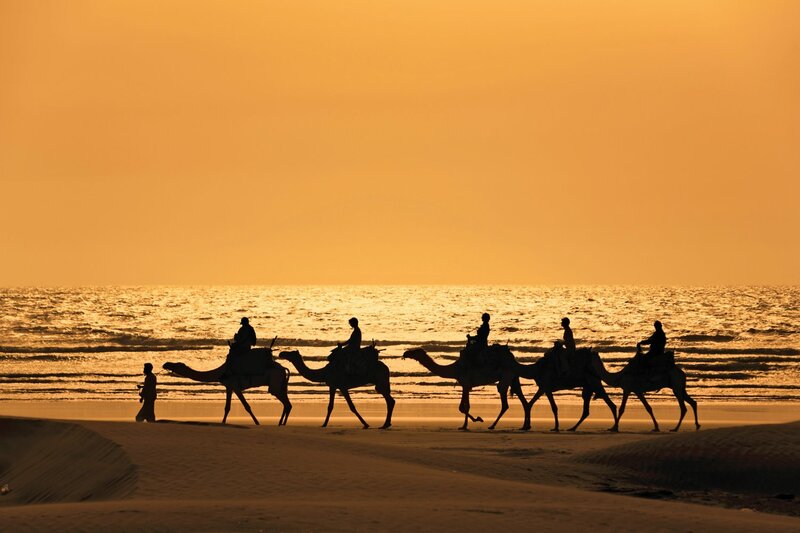 You can ride a camel over gentle dunes or step it up a gear with an adrenaline pumping dune buggy. For a truly special experience you can camp over night in the desert in a traditional Berber tent. Sitting around a campfire the Berbers will tell you ancient stories of their heritage and sing traditional songs. The night ends with gazing in to an endless night sky with some of the the clearest views of stars imaginable. Have you been to Morocco? We’d love to hear your stories, tell us in the comments below. If you’d like to learn more about Morocco visit our website.